As the holidays approach and parking operators start to gear up for a possible increase in automobile break-ins and thefts in their parking facilities, there are several cost-effective and long-term fixes to consider. As a former security professional, I have always viewed my subsequent careers through a security lens and have tried to work in every best practice I’ve learned through the years into everything I do today. Early on as a garage manager chasing vandals and thieves, I soon realized that trying to outnumber the would-be criminals with customer service and security staff was impossible simply due to budget constraints. Then as I started applying a more comprehensive approach, based on solving the problem versus mitigating the problem. I came up with the idea of the three Cs: Company, Customers, and Cops. First, the company (garage operator) must ensure it has done everything feasible to make theft more difficult, such as proper lighting, customer service personnel, security personnel, signage, etc. Next, customers must be educated on basic security principles—locking their doors, stowing away everything out of sight, and paying attention to their surroundings. 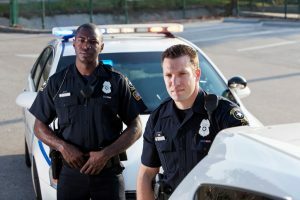 Lastly, garage operators must establish a working relationship with the local law enforcement agency (cops) and set the tone for a zero-tolerance attitude toward theft and vandalism by consistent patrols and police presence. Working the three Cs significantly reduced the seasonal break-ins and thefts in our garages and if you or your operator commits to the task, I am confident it will work for you as well. Dan Fortinberry, CAPP, is parking manager with the City of Cincinnati, Ohio.